While your home’s roofing system is a generally resilient piece of hardware and it can easily shrug off a lot of things, certain parts of the roof are more susceptible to getting worn out. A lot of issues will arise from these parts, especially if you leave them unaddressed. Our roof repair experts at Signature Exteriors share four of the most common problematic areas in your roof. This is the part of the roof that runs horizontally and is located under the edge of the structure itself. It’s also known as the truim, and it’s usually made up of wooden boards or sheet metal. While it’s responsible for protecting the edge of the roof from the elements, it’s also one of the first parts to deteriorate. This is partly due to the fact that this is where the gutters are installed. If your gutters are blocked and constantly spilling, chances are the fascia has sustained considerable damage already. The soffit is the underside of the roof’s overhang. Its location normally protects it from the elements and it’s made of a weaker material than the rest of the roof. Our team of roofers recommend having this checked, especially if the fascia has already sustained damage. Water that leaks from the fascia eventually ends up here before heading to the edge of the house. These are thin strips, usually made of metal, that seal the roof’s most vulnerable parts, such as the valleys and perimeter and protect them from water intrusion. Constant exposure to the elements wear these down very fast, though and failure to replace them puts your home’s vulnerable parts at risk. As your home’s first line of defense against the elements, the shingles will wear out eventually. They will fail more quickly if you fail to do maintenance and preventive repair on it. Even sturdier shingles, such as ones made from tile and slate, will get damaged fast if you don’t give them some much needed attention. 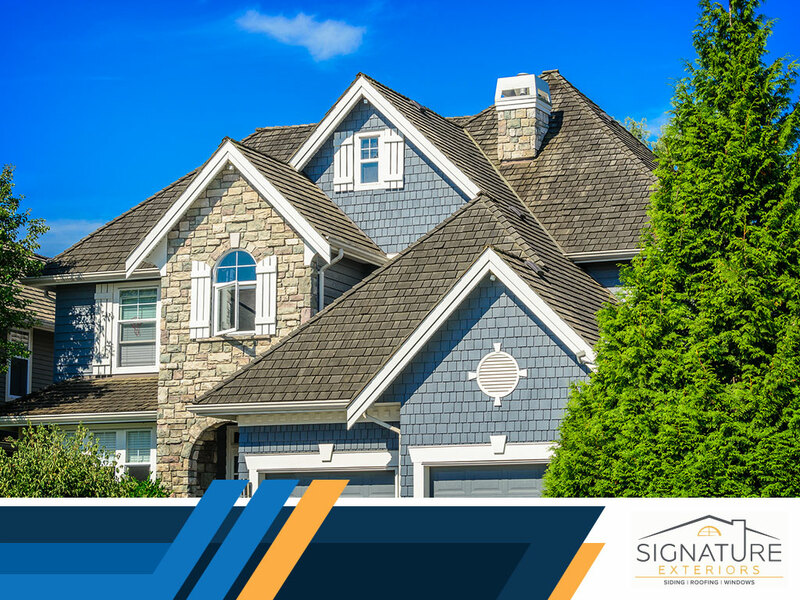 As your local roofing contractors, Signature Exteriors will make sure your roof’s most vulnerable parts are properly addressed. Call us today at (866) 244-8029 to learn more about our services. We offer complete roofing services throughout Norwalk, CT and Yonkers, NY.